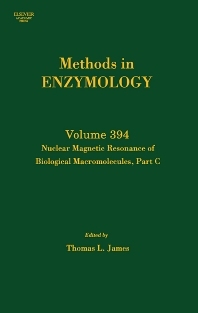 Nuclear Magnetic Resonance of Biological Macromolecules, Part C is written with a "hands-on" perspective. That is, practical applications with critical evaluations of methodologies and experimental considerations needed to design, execute, and interpret NMR experiments pertinent to biological molecules. School of Pharmacy, University of California, San Francisco, U.S.A.